Spartan Strong brings the authentic spirit of Spartan Race to group fitness. Spartan Strong challenges the body and mind, helping individuals conquer life’s everyday challenges. This variable intensity hour-long experience will push you and unleash your inner Spartan by increasing strength, endurance and mobility through a combination of bodyweight moves, dynamic stretching and cardio-focused drills using the Spartan Pancake sandbag. The program is a Featured Format Class at Life Time Athletic Centers and can be found at a growing number of other gyms and studios. You can also sign up for a Spartan Strong Workout Tour date to get a taste of the studio class experience. 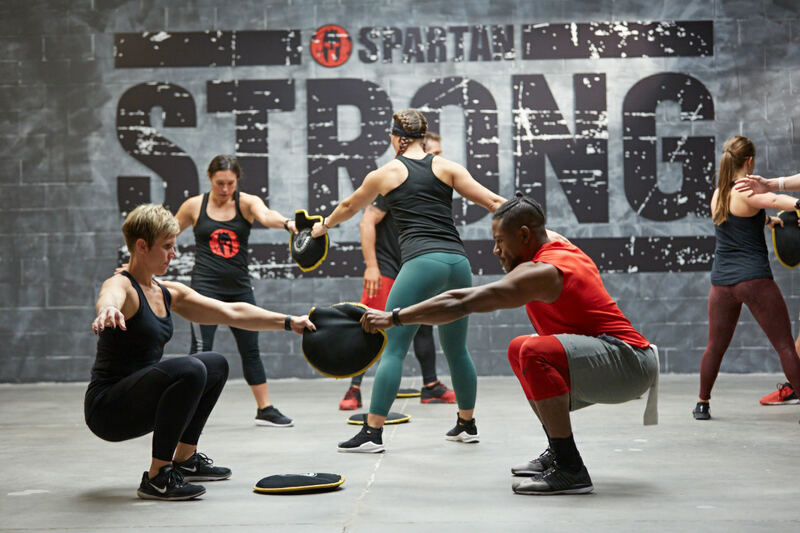 Got what it takes to become a Spartan Strong Instructor? Learn how to teach the Spartan Strong group fitness class at your gym or studio by taking our live 1-day instructor training. Leave your email to be notified about the new online Spartan Strong training.